It’s always fun to learn more about the making of process of a movie and to learn more about why certain decisions were made during the production of a movie. 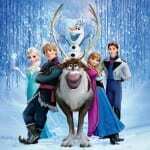 In this article you’ll discover some Frozen Fun Facts you might already know or you might not now yet. 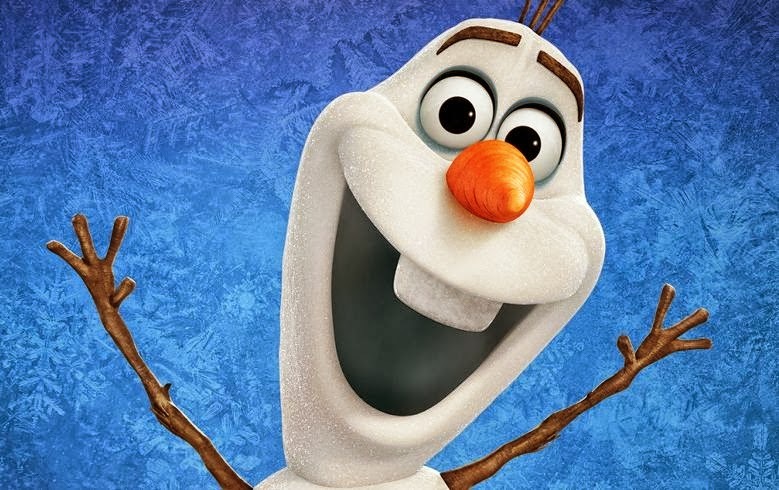 All the Frozen fun facts are spoiler free so you can also read them if you haven’t seen the film, if the fun fact contains a small spoiler, than there will be a spoiler alert. One of Anna’s favorite phrases—“Wait, what?”—was added to the script compliments of Kristen Bell. 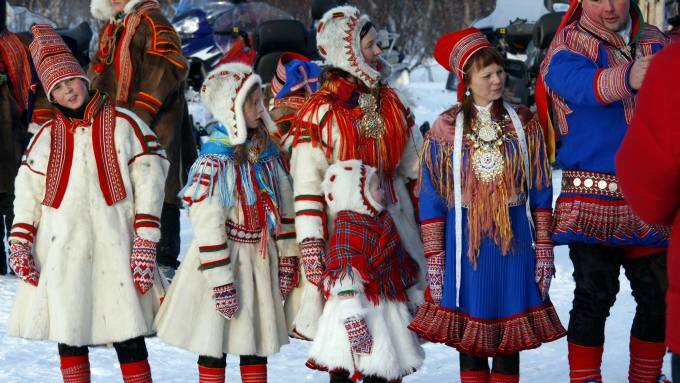 The character of Kristoff was largely influenced by the Sami people, who are indigenous to parts of northern Norway. The Sami are known for herding reindeer, which may explain why Kristoff’s best buddy is a reindeer named Sven. Filmmakers visited a Sami-owned reindeer husbandry business in Roros, Norway. At one point, filmmakers named the reindeer Thor, but later changed their minds due to the sudden popularity of the name around the company. 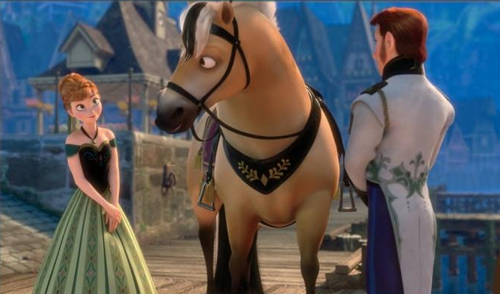 Hans’ horse, who keeps Anna from falling in the water before the coronation, has a name: Sitron, which means “lemon” in Norwegian. Art director Mike Giaimo and his team traveled to Norway to soak up the atmosphere, check out the architecture, research the local culture and mythologies, and garner inspiration from the environment for their fictional kingdom of Arendelle. Via cars, trains and boats, they visited fortresses, castles, shops museums, cathedrals, fjords and glaciers. Animators and effects artists traveled to Jackson Hole, Wyo., to experience deep snow. They donned various attire—including long skirts—to capture the impact created by their steps and how snow interacts with clothing. 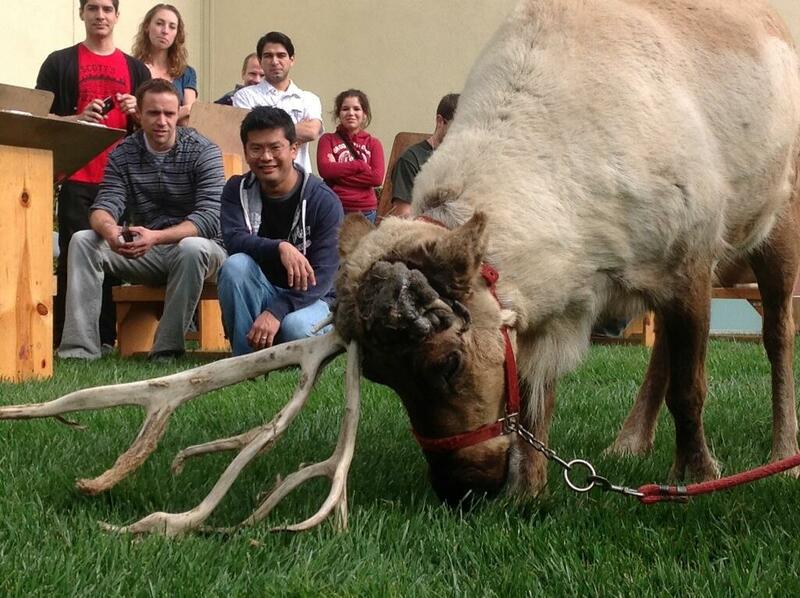 Filmmakers invited a real-life reindeer into the Walt Disney Animation Studios, observing the animal’s physical makeup and mannerisms, which were later caricatured in the making of Kristoff’s reindeer buddy Sven. 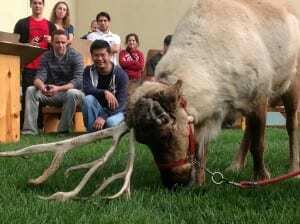 The reindeer showcased an unexpected technique for taking care of an itch on his ear: he used his back legs—like a dog might do. Sven later adopted the technique. Well adapted to snow and cold, reindeer can lower the temperature in their legs to near freezing levels, to keep their core body heat consistent in extreme weather. They are also surprisingly fast; a new reindeer calf can easily outrun a man, which explains why Kristoff relies on Sven when he needs to get to Anna quickly. 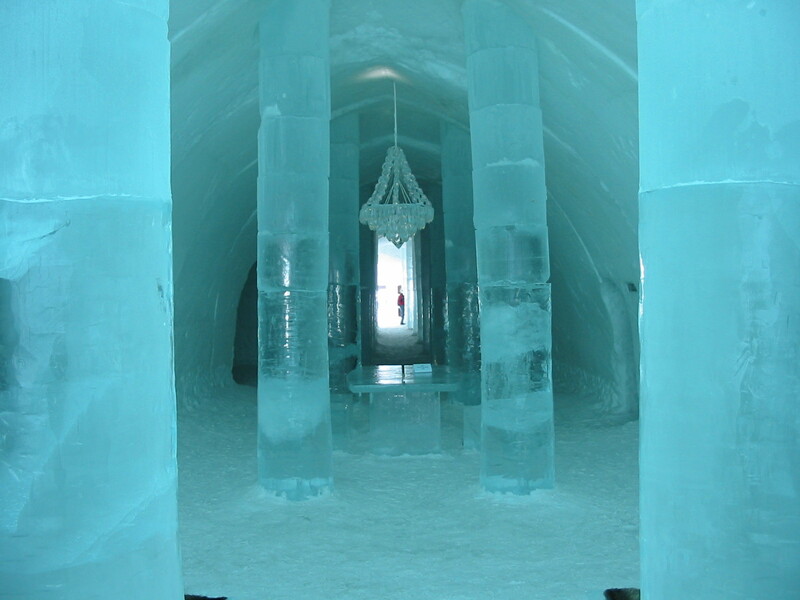 Several members of the production team traveled to Quebec to experience the Ice Hotel as inspiration for Elsa’s ice palace featured in “Frozen.” Though the artists were inspired and wowed by the icy architecture, none opted to spend the night in the chilly abode. In an effort to perfect Elsa’s icy magic, filmmakers called on Dr. Thomas Painter, a scientist from the Jet Propulsion Laboratory in Pasadena known as “Dr. Snow” to learn about snowflakes from a molecular level. 80 percent of Earth’s fresh water is frozen in the form of ice or snow. Snow is colorless and clear, but light reflected evenly on snowflake crystals gives it its white appearance. Although the eternal winter which suddenly fell on Arendelle in “Frozen” probably rivals any snow record, the greatest single-day snowfall recorded was 6.3 feet in Silver Lake, Colo., in 1921. Higher numbers are assumed in areas more remote, but nobody has been around to record them. To pepper the script with authentic Norwegian words, accents and phrases, filmmakers called on Jackson Crawford, who teaches Old Norse, Scandinavian mythology, Vikings and sagas at UCLA. His research focuses on the history of Old Norse and Norwegian. The film also features authentic Norwegian kulning, a melodic herding call utilized by farmers to beckon goats and sheep from mountain pastures. Native Norwegian singer and aspiring film composer Christine Hals was tapped to perform the distinctive vocals for the film. The average animated film features special effects in about 45 percent of its shots. However, since most of “Frozen” takes place in the midst of a winter storm—and snow and ice are considered special effects—“Frozen” can be considered extra—almost entirely—special. The scene in which Elsa walks out onto the balcony of her newly constructed ice palace is 218 frames long, and includes the film’s longest frame to render. The single frame took more than 132 hours to render (that’s more than five days). Art director Mike Giamo blends traditional Norwegian folk clothing with old Hollywood panache and a bold color palette to create a unique look for the wardrobe. To achieve Elsa’s look once she flees the kingdom, filmmakers invited celebrity hairstylist Danilo to the Burbank studios to experiment with various styles and capture Elsa’s new-found boldness. Rosemaling, a style of decorative folk art found throughout Norway’s history, appears throughout the film—on clothing, within the architecture and is even evoked in Elsa’s magic and her icy creations. During animation dailies, individual animators would sit in a red “hot seat” and present their shots to directors for feedback. If the directors were happy and had no further notes, they would ding a bell—approved!—and everyone would applaud. What’s Your favorite fun fact from the this list?